Great post! Nova Scotia is beautiful. Not sure about the skull itself, but the beautiful lichen growing on it looks like Xanthoria parietina. Dude, please. That’s not even an invertebrate. And it and its congeners (e.g. http://elib.dlr.de/90411/1/Annette-Brandt-download.php.pdf) are doing just fine without vertebra or exoskeletons or any other trappings of Animalia… that humble Xanthoria is certainly doing better than the whale or lobsters you’ve photographed! I’m an avid follower of SV-POW!, by the way… I’ve never read a post on here that wasn’t completely intelligible to my photosynthesis-orriented brain. We are not such men as our fathers were, nor are our lobsters such lobsters as theirs. Because of overfishing, modern lobsters are tiny compared to those of the past: in the old days they grew to over three feet long. Claws, by positive allometry, huge: I have seen an old, bleached, lobster claw (in the Peabody Museum, at Yale University) that was, I think, most of a foot long all by itself. And whale skulls with their elongated rostra, are FREAKY. Thanks for the kind words, Ian. Allen, you’re right of course about overfishing in general. 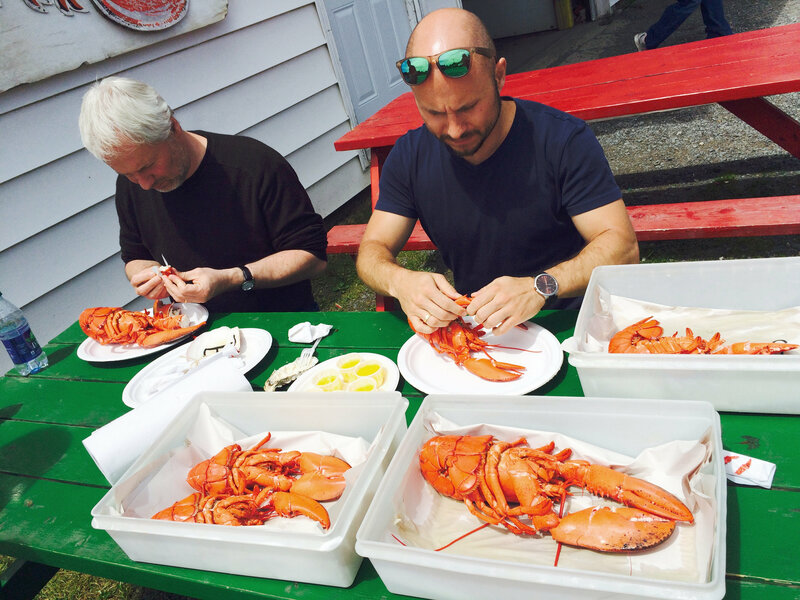 However it seems to me that Nova Scotia may be moderating its lobster consumption pretty well. The one I ate was as big as I could have done justice to, and they apparently have pretty strict rules on how old the lobsters must be before they can be harvested. News story, from the Bay of Fundy: a 25 pound (11+kg) lobster caught: to be displayed, then released. According to Wikipedia, the record weight is 44 pounds (20kg). So a few of the big ones are still around! 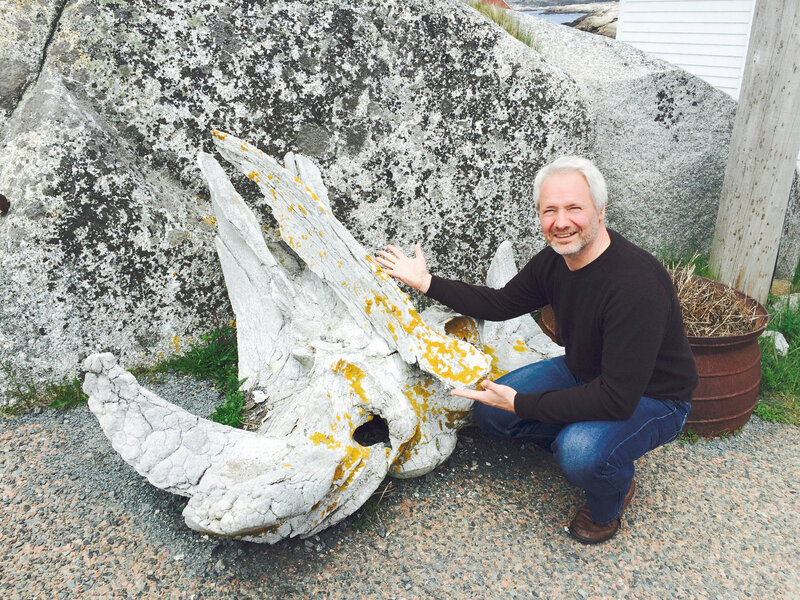 I believe that is the skull of a Humpback Whale (Megaptera novaeangliae). Do you have pictures with other views of the skull? No other photos, I’m afraid. Thanks for the tentative ID, though!